Take on all the challenges life throws at you with the Oriflame Rescue North For Men line. With Arctic Pro Defense and an exciting citrus-colored aroma, these products are ideal for your active life, keeping you fresh and fragrant. Try it and see for yourself! 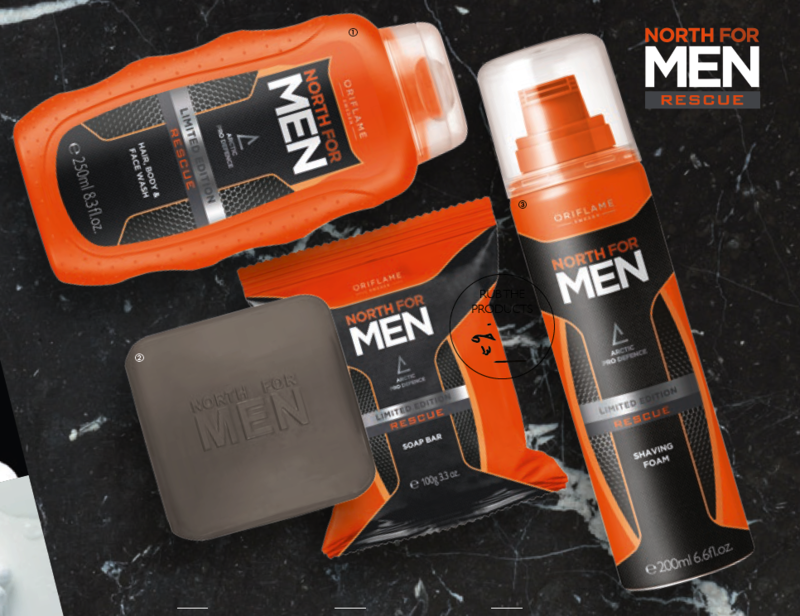 This line of North For Men has been specially developed to bring the Swedish nature up to your daily life. Three different products, enriched with a fresh and masculine fragrance to start your day in the best way. With Artic Pro Defense – Iconic Eastern Siberian root extract, rich in antioxidants, protects the skin against internal and external aggression. Clean and care for hair, face and body with this rich lather, enriched with Arctic Pro Defense and a citrus-woody scent. 250 ml. Soap with Arctic Pro Defense and a citrus-woody aroma, perfect for daily use. 100 g.
Foam with Arctic Pro Defense and a refreshing citrus-scented aroma for a smooth and precise shave. 200 ml.